These are 2-color 4" cement tiles, using colors from the South Beach Palette. This geometric cement tile pattern is deceptively simple. 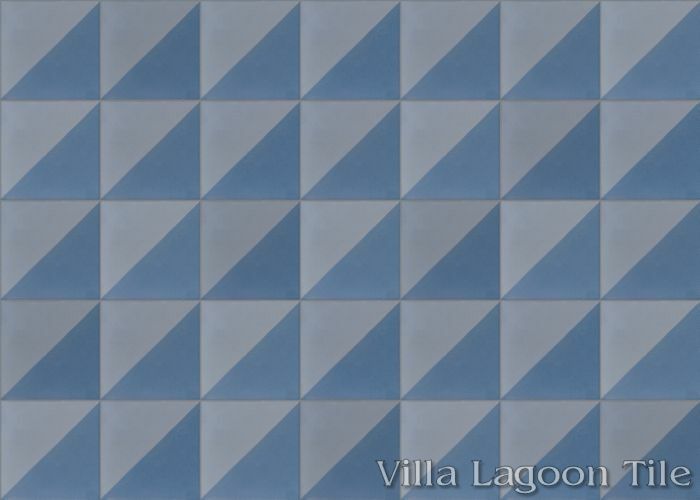 With the basic triangles, you have almost limitless options in design. 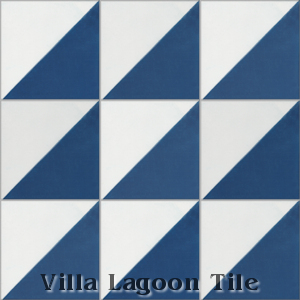 Several example layouts are provided to inspire your creativity. 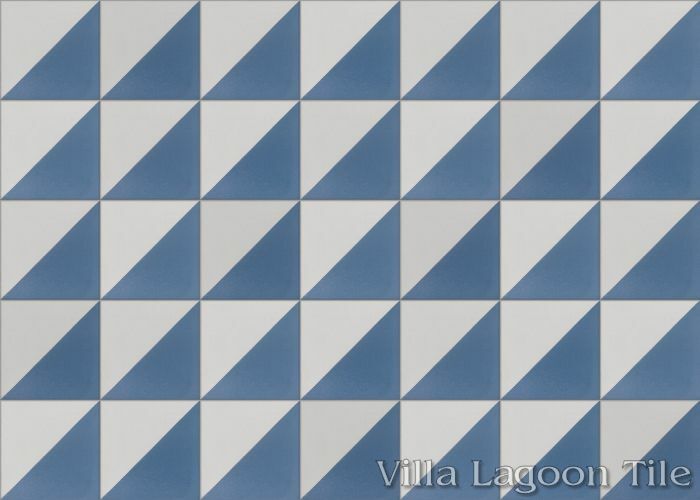 We have playfully named this cement tile pattern "Man Overboard", for the nautical flag. 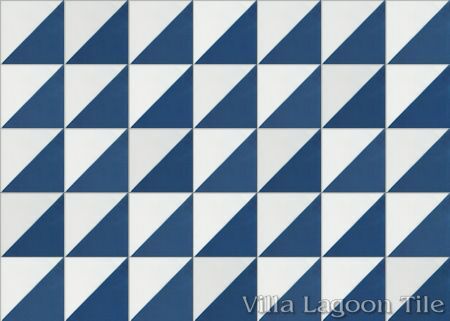 The same pattern in Red and Yellow represents the letter "Oscar", or a signal advising the vessel has a man overboard. 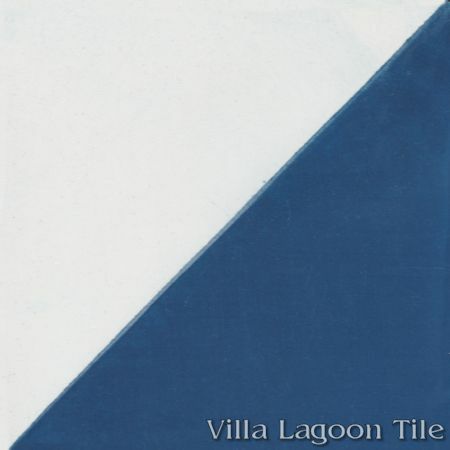 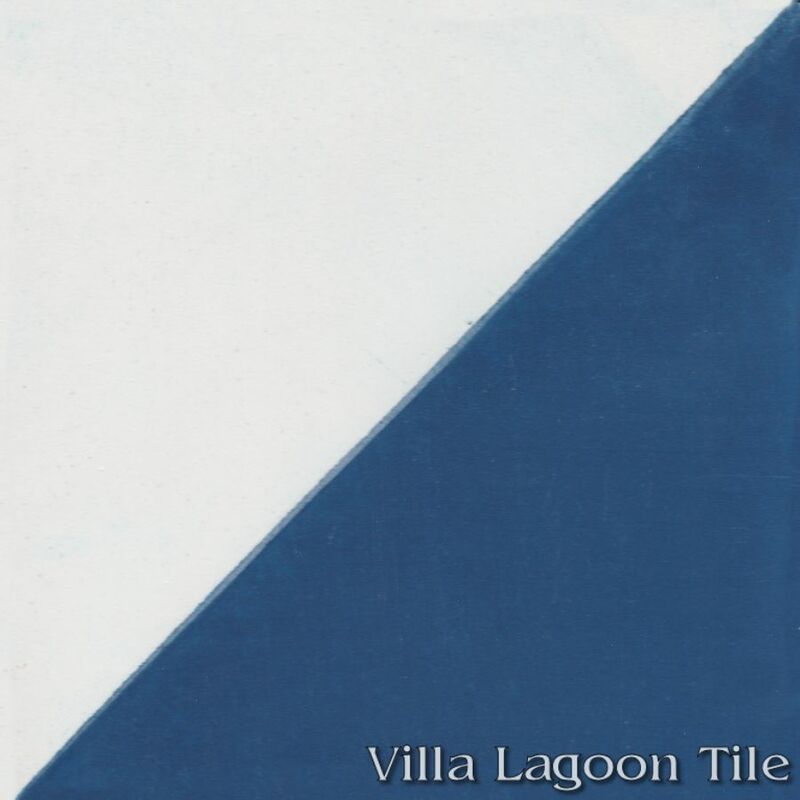 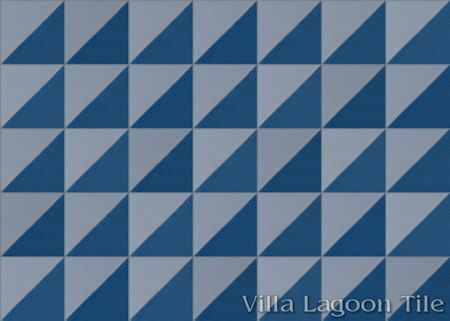 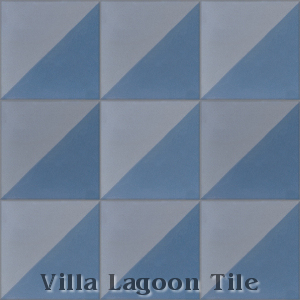 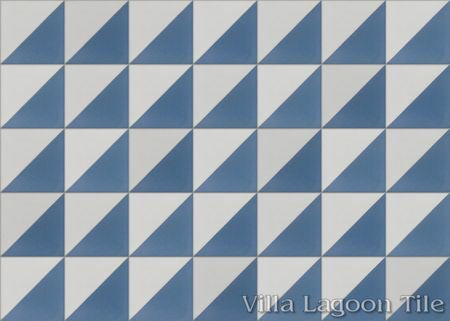 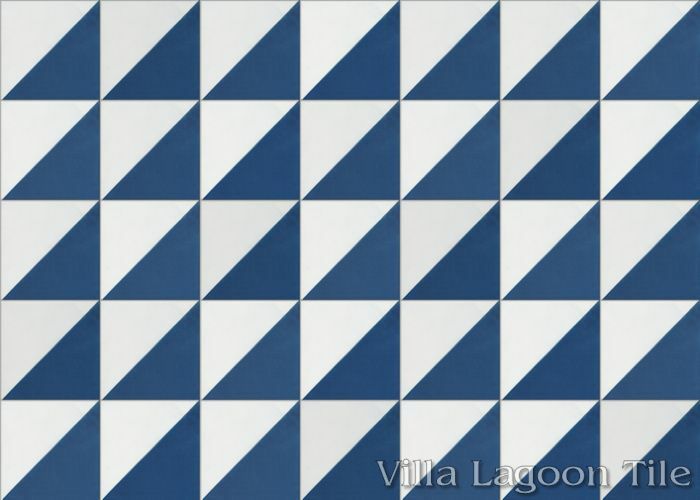 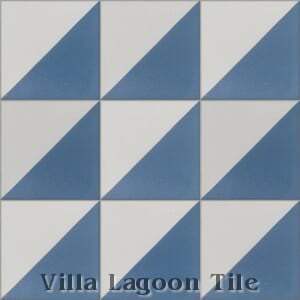 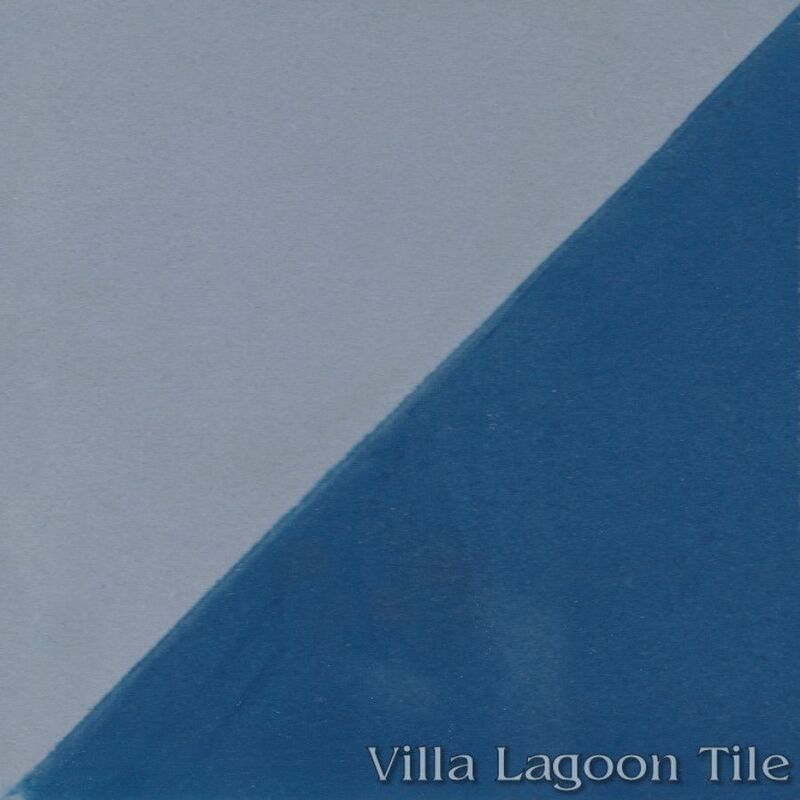 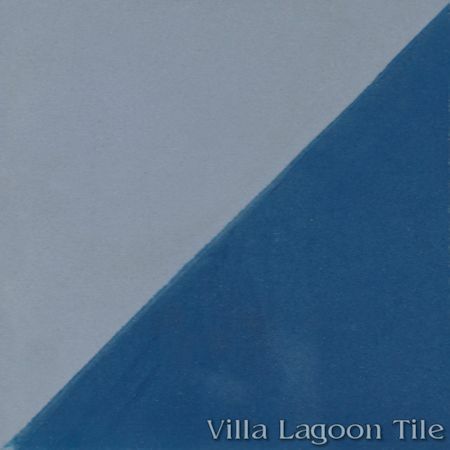 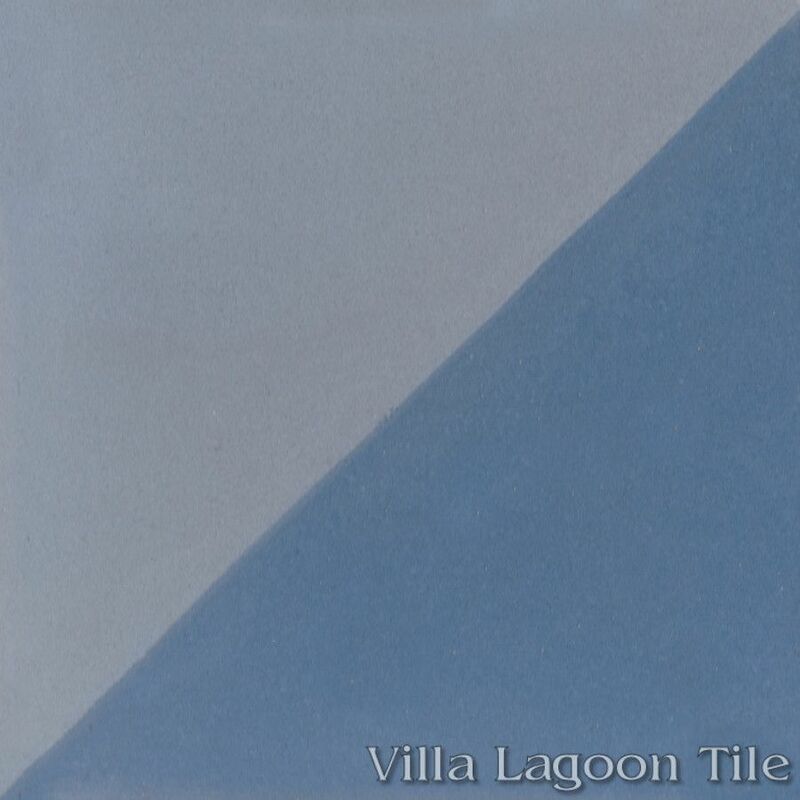 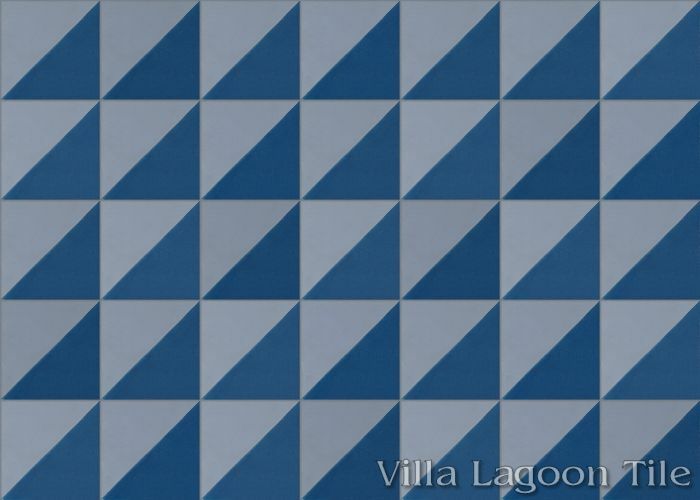 Villa Lagoon Tile's "Man Overboard" cement tile pattern using Featherstone, and White from the South Beach Palette.